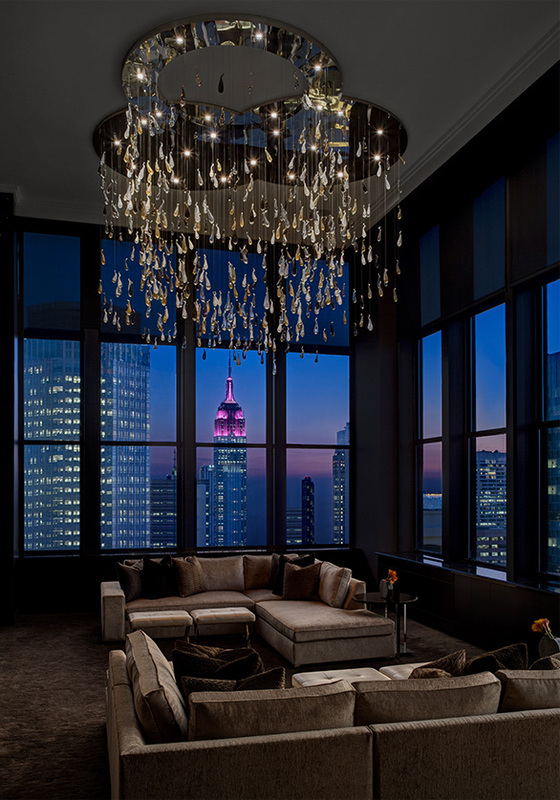 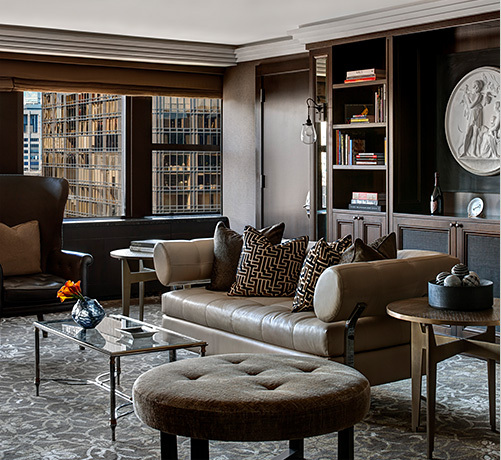 The extravagant Champagne Suite is among the most luxurious 2 bedroom hotel suites in NYC. 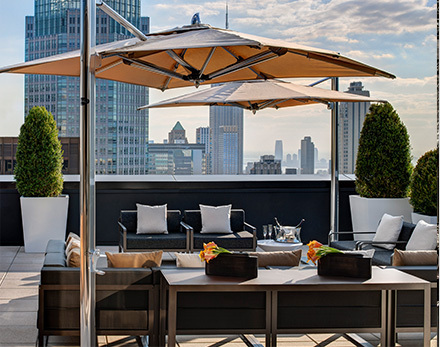 Inspired by the exquisite taste of luxury champagne, this sprawling urban oasis spans three floors and features spectacular decor and breathtaking views of St. Patrick’s Cathedral. 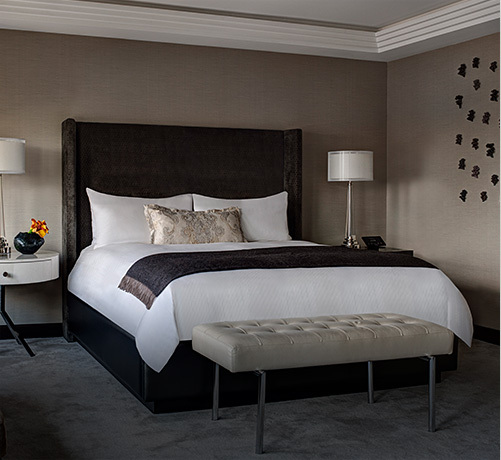 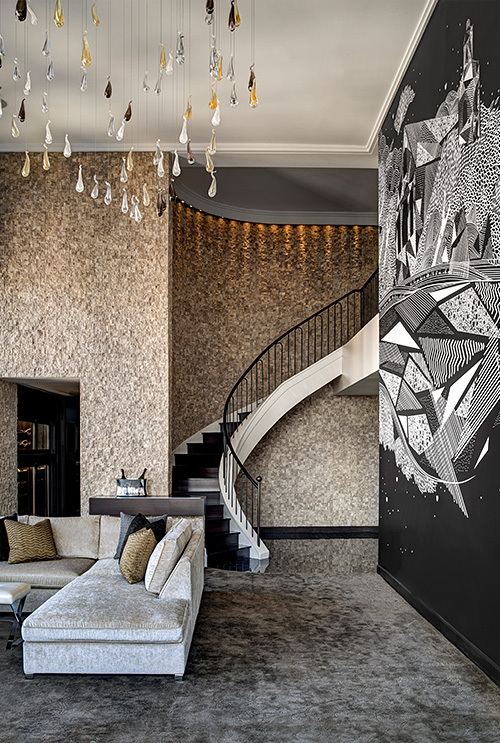 Decorative highlights of the one-of-a-kind Champagne Suite include a 29-foot-wide mural by French artists Alex et Marine, a shimmering crystal pendant chandelier, and a Nouveau Nero polished marble foyer.